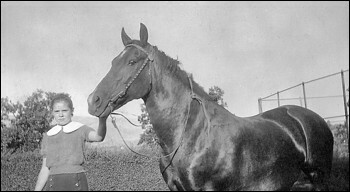 Here's Mom with her horse Star in August, 1935. This photo was taken at Edgevale in southern Oregon. Mom is 13 years old.